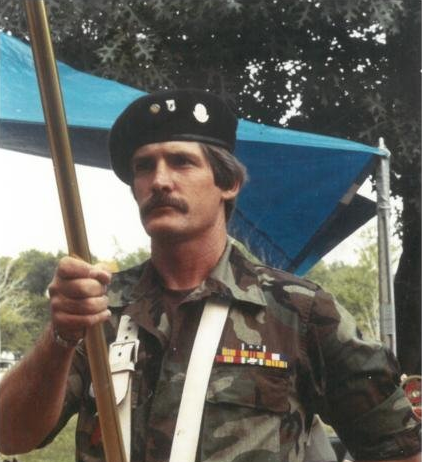 CHRIS BENEDICT died as a result of his service in Vietnam in 1997 and was among those honored in VVMF’s first In Memory Ceremony on Memorial Day 1998. 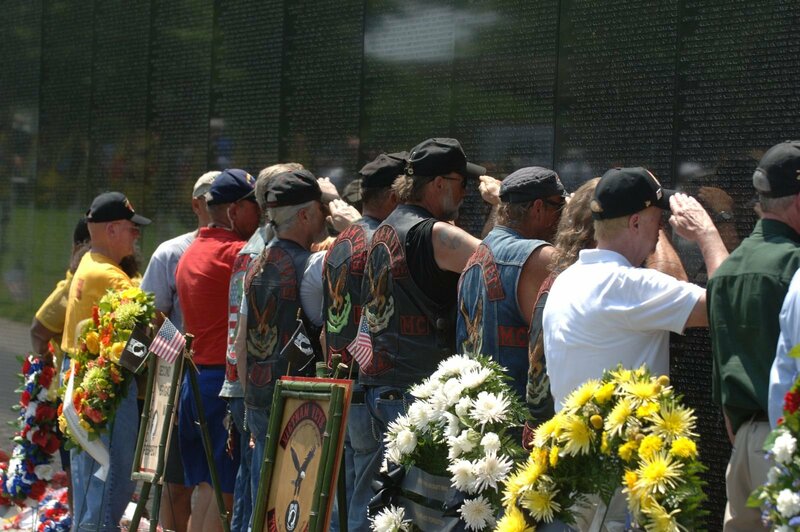 More than 2,800 men and women are honored through the In Memory program. Years ago, Chris Benedict came into the Social Security office where I work and asked to see me. He looked very dashing in his suede jacket, cowboy hat and boots. 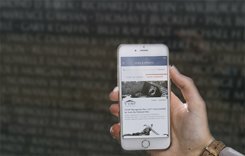 At the time, I knew he had served in Vietnam and had service-connected injuries, but not until this interview did I realize the extent of his disabilities. One of the items he needed to file a claim was a DD-214, to establish his record of active-duty service. Check. He was a Marine. “You went to Vietnam twice?” I asked. There was much more to Chris than he let on. He briefly described the loss of sight in his left eye, his reconstructive surgeries and his exposure to Agent Orange. More operations and tests were needed. Since we were related by marriage, I told him I had to disqualify myself, but we arranged for another representative to process his claim. “That’s my cousin’s husband,” I told them. “He’s married?” Their hopes were dashed. Chris had many blessings. He had a magnetic, physical presence. He had immense personal charm. He was the kind of person who is genuinely interested in others. His courage was heroic—not only in combat, which earned him two Bronze Stars and a Silver Star—but in the courage he showed us in his day-to-day living with pain and with the knowledge that his athletic prowess was limited by his injuries. By degrees and through the years, we witnessed how he had to stop hiking, fishing and golfing. He taught his wife to fish and Lynda gamely kept right on, even after he could no longer wade the streams with her or cast a rod. Instead, he’d watch her at the riverside and then clean whatever she brought on her string. “She’s the catcher and I’m the cleaner,” is how he described it. Of his many blessings, Lynda quite possibly was his greatest gift. Chris and Lynda took their wedding vows seriously: “For better or for worse, in sickness and in health, for richer or for poorer.” Along with her personal beauty, Chris saw in Lynda a history of stability, a family that interacts with warmth and concern, an extended family that included parents, grandparents, sisters, brothers, nieces and nephews. Chris saw that human happiness does not happen. Rather, happiness is the result of daily effort. Chris was optimistic. The pessimist would say Chris had little reason to live. But Chris, the incurable optimist, saw only what there was to live for. His sweet tooth was enough! He was famous with his nieces and nephews who knew he was an easy touch for that pocketful of Smarties he always carried with him. And when you were in his kitchen, he pressed you to join him for a Haagen Dazs. More than that, he was loyal to his friends, he was eager to make new ones and he had only pleasant things to say about people and to people. Chris was a strong and cheerful person who bore his burdens with optimism and patience. But how much blood does a soldier have to spill to be awarded the Purple Heart three times? His suffering did not end in Vietnam, either. To be afflicted by post-traumatic stress disorder, as he was when he returned home, one is doomed to relive the horror again and again at unexpected moments. We don’t have Chris to worry about anymore; there is no more pain for him. We should thank him for the priceless gifts he gave us: for his example of perseverance and courage; for his optimism that shouted, “Life, indeed, is worth living!” and for spending his life for us. ED CHAVEZ lives in Albuquerque, New Mexico. 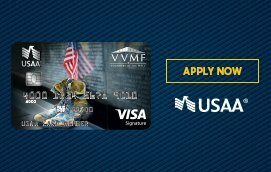 This story is adapted from the eulogy he gave at Chris Benedict’s funeral in September 1997 and is printed with permission from Chris’s wife Lynda Benedict, who travels to Washington, D.C. every year to participate in the In Memory program and who traveled to Vietnam with VVMF in 2010. 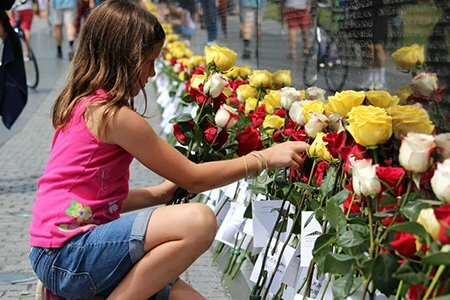 Stay up to date on all of VVMF's events at The Wall and around the country with our traveling Wall replica, The Wall That Heals.